Where there is protest and civil disobedience, amplified sounds and homemade costumes are generally not far. In this workshop we will explore how we can embed “noise” and sound into clothing, and use body movement to broadcast our personal cause. Participants will get a crash course in crafting electronic textile sensors, noise activators and amplifiers, and work in interdisciplinary teams on wearable items. 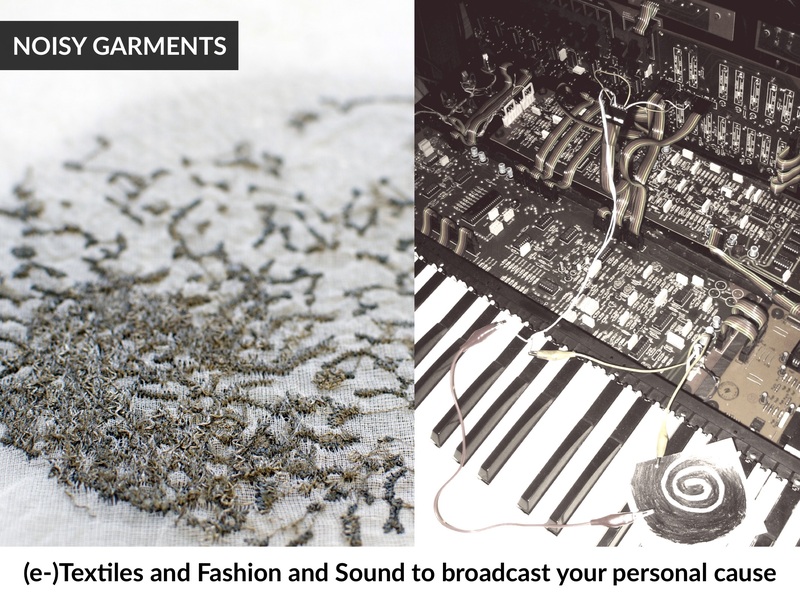 We will hack electronic and non-electronic noisy objects – ranging from children’s toys to singing greeting cards, brought by the participants – and investigate how these could be embedded into fashion items and activated by means of human mechanics. 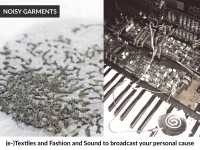 The two student pairs who amplify their wearable message most convincingly are invited to attend and show their work at the AlgoMech Festival in Sheffield/UK on 17-19 May 2019 (funding not confirmed yet). We invite students of all disciplines to participate. Valeska Schmidt-Thomsen is professor of Fashiondesign at the Berlin University of Arts and managing director of the Institute for Fashion- and Textiledesign at the Berlin University of Arts. Berit Greinke is junior professor in Wearable Computing at Berlin University of the Arts / Faculty Design and Einstein Center Digital Future. Her research focuses on design methods and fabrication techniques for electronic textiles and smart materials, combining crafts with novel manufacturing technologies. Her work is multidisciplinary, informed by practice within design, art, physics, materials science and electronic engineering.